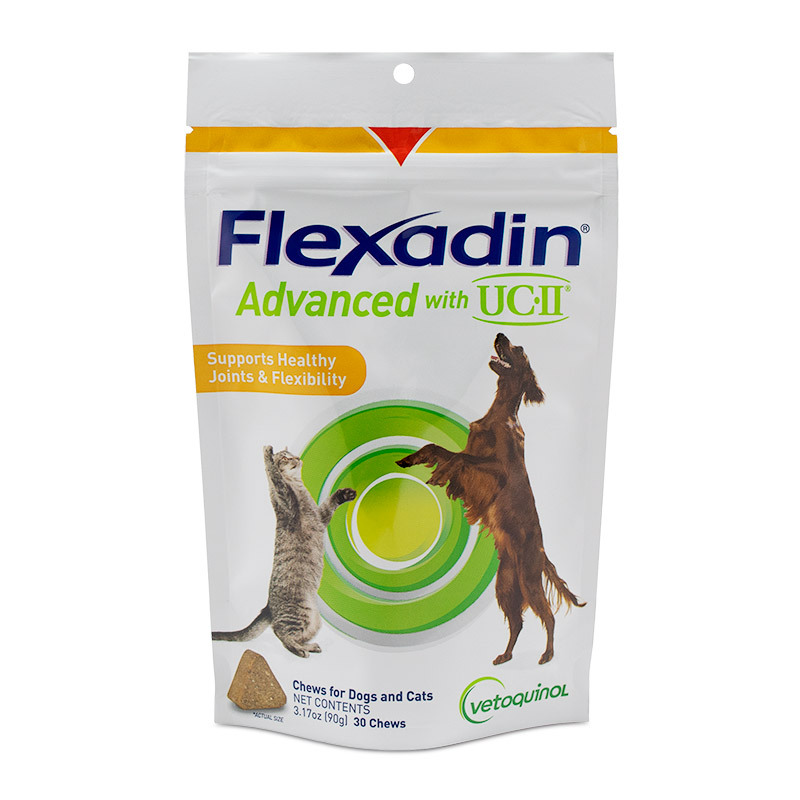 Flexadin Advanced Chews with UC-II ® for cats and dogs is an innovative supplement that supports healthy joints and flexibility. Flexadin Advanced features UC-II ®, an undenatured type II collagen derived from chicken cartilage sternum. It is different from traditional supplements that contain glucosamine and chondroitin, in that it’s only one chew per day for any dog or cat and works differently to target the pet's immune system. Flexadin Advanced is a highly palatable soft chew, readily accepted by 94% of dogs and 74% of cats! Flexadin Advanced is available in 30ct and 60ct packages. † UC-II® brand collagen with undenatured type II collagen (U.S. Patents 7,846,487, 7,083,820 and EPO Patent EP1435906B1; Canadian patent CA 2459981C; and Japanese Patent JP 4800574B2).